What better gift to give than a copy of The World Peace Diet? Order 5 signed copies of The World Peace Diet, and the price per book is only $16.00. You will receive, in addition, 5 copies of the CD Living In Harmony With All Life. You will receive, in addition, 1 copy of the CD Living In Harmony With All Life. 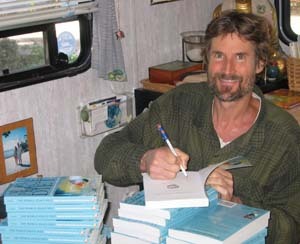 Each book (orders of 5 or 10) will be signed by the author. Special bonus: shipping/handling is only $4 for any of these specials (U.S.A. only). Please inquire about international shipping rates! We are also delighted to offer 2 quantity discounts for the CD, Living In Harmony With All Life. Thank you for helping to spread the message of peace and compassion! 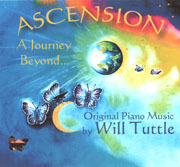 ASCENSION- A Journey Beyond. Piano music of power, joy, and inspiration. Islands of Light - an enhanced CD course on developing intuition with 18 pieces (64 minutes) of evocative original music, e-book, and paintings!